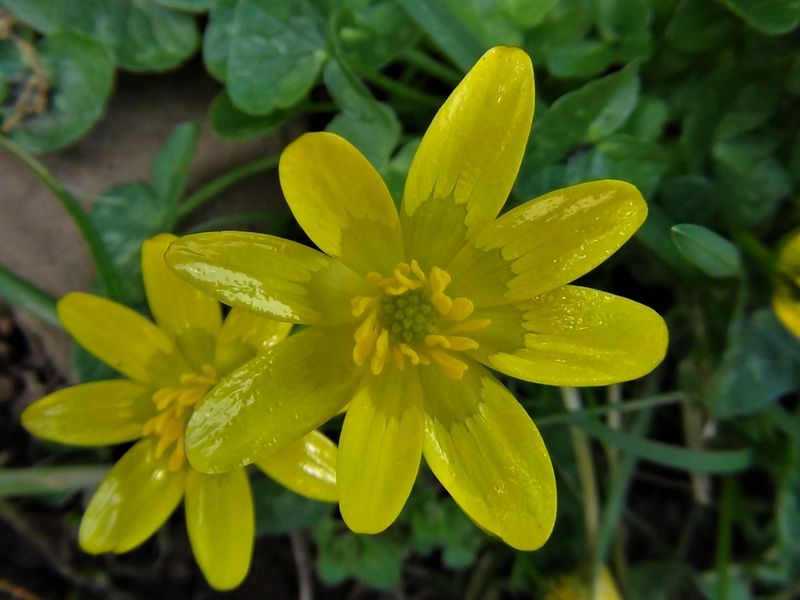 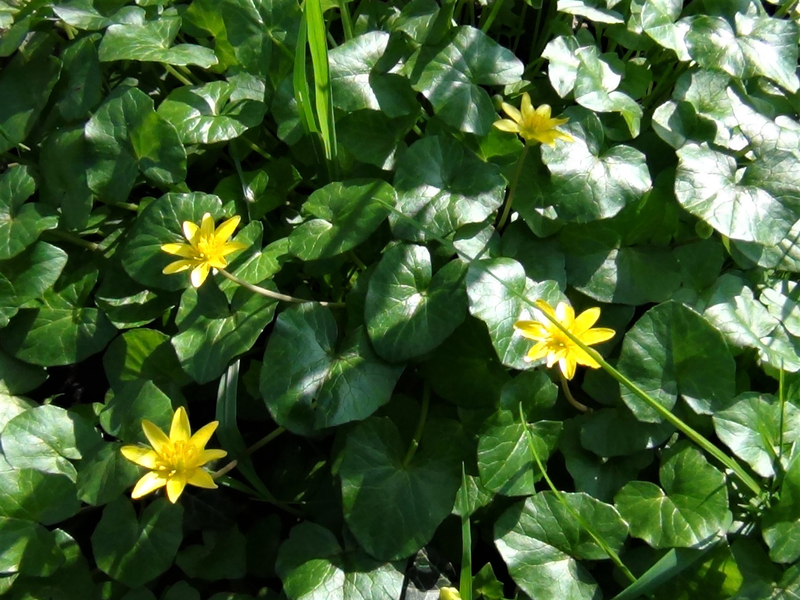 The very shiny lesser celandine flowers. 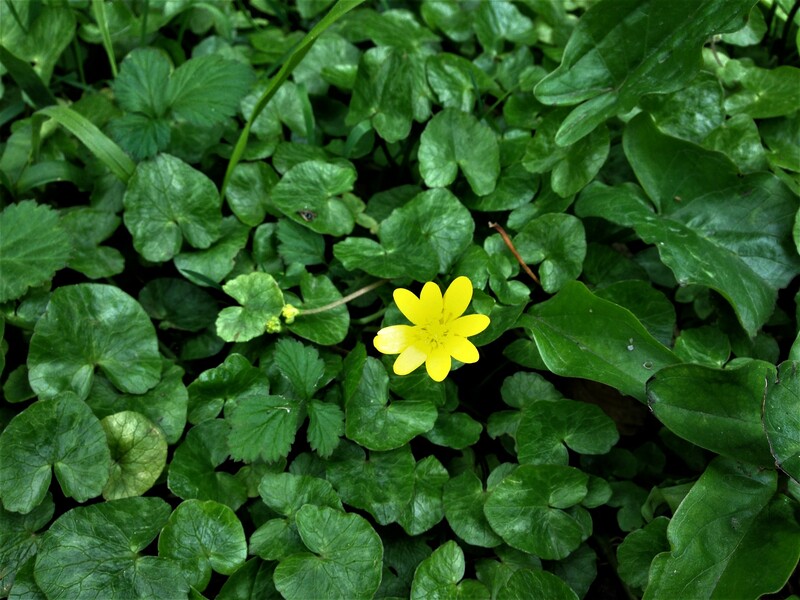 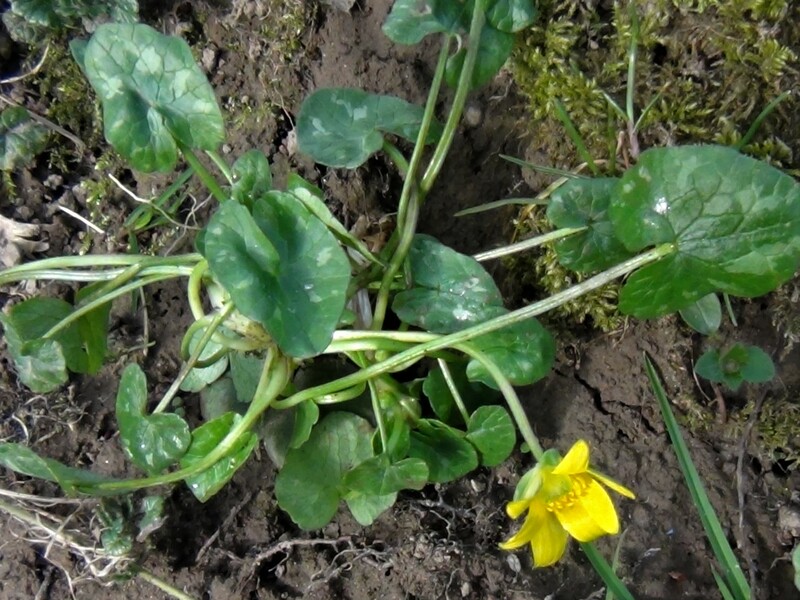 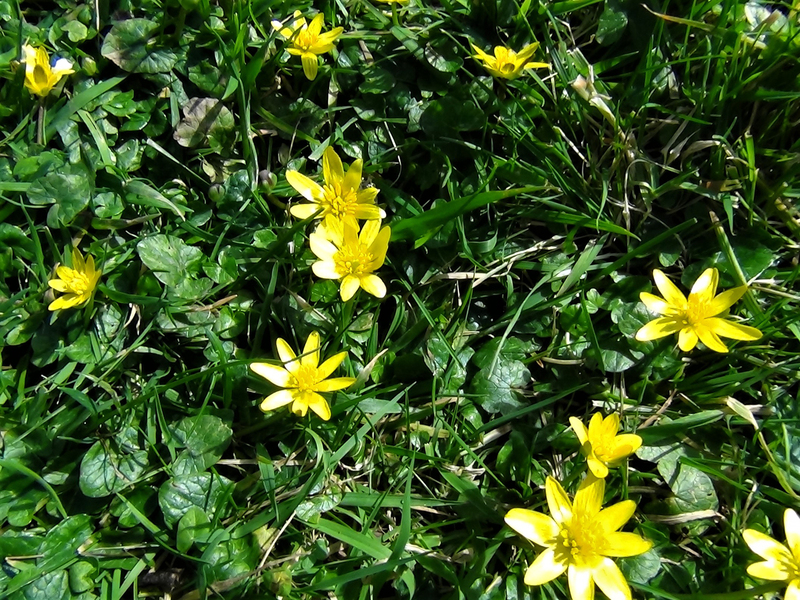 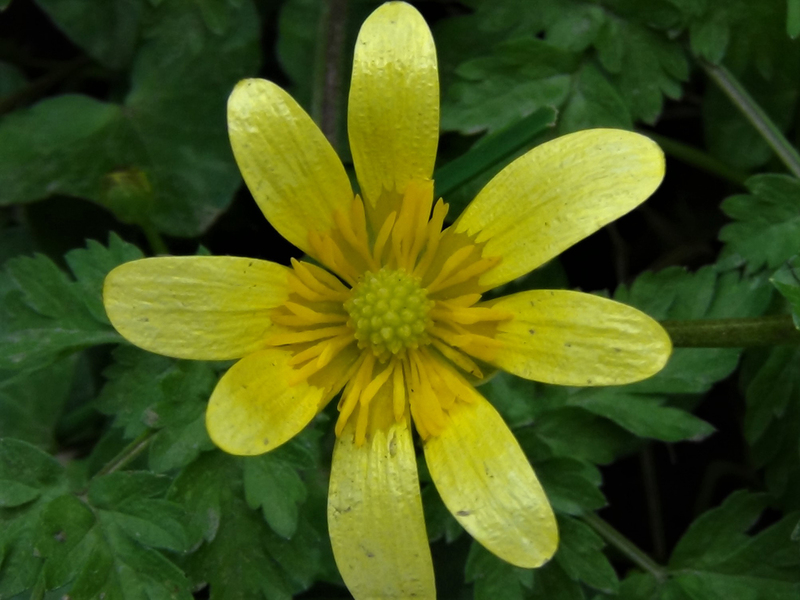 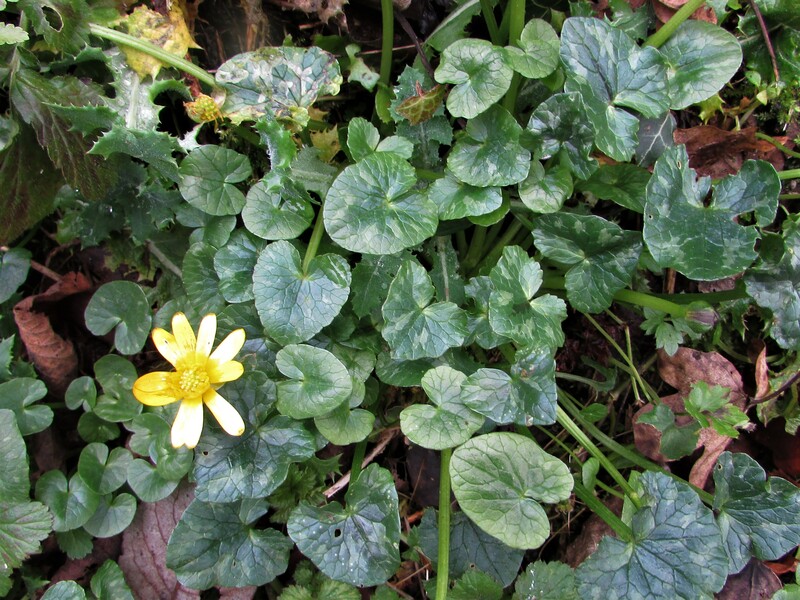 Not too many leaves of Lesser Celandine should be eaten raw but cooked they are safe. 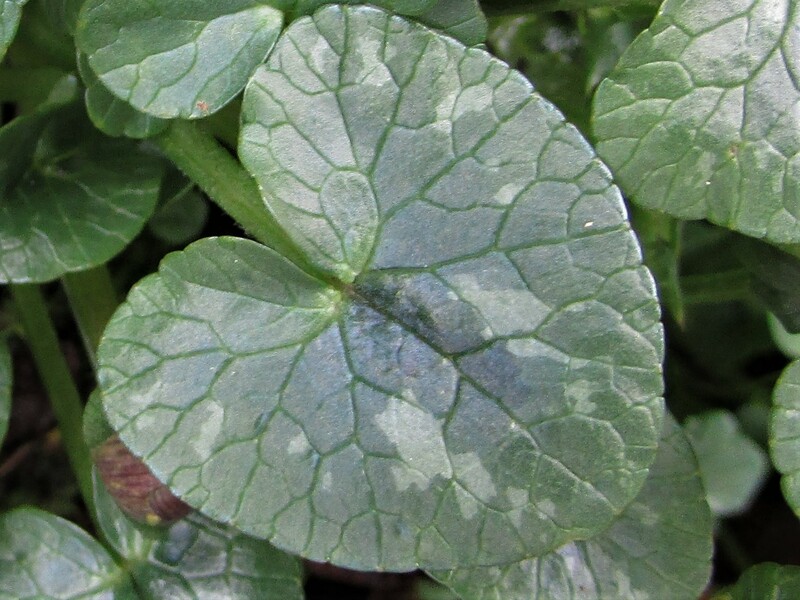 Dark green, shiny and fleshy heart shaped leaves that can have white markings. 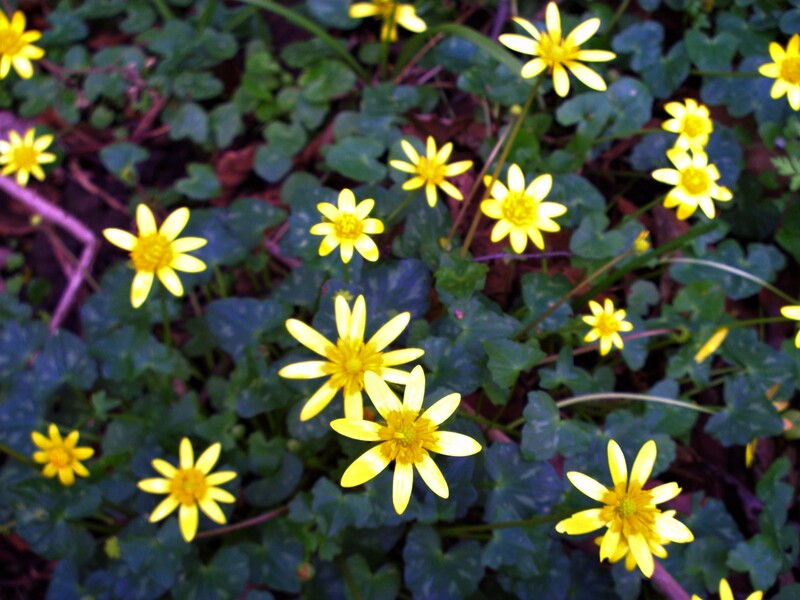 Yellow slightly daisy like flowers. 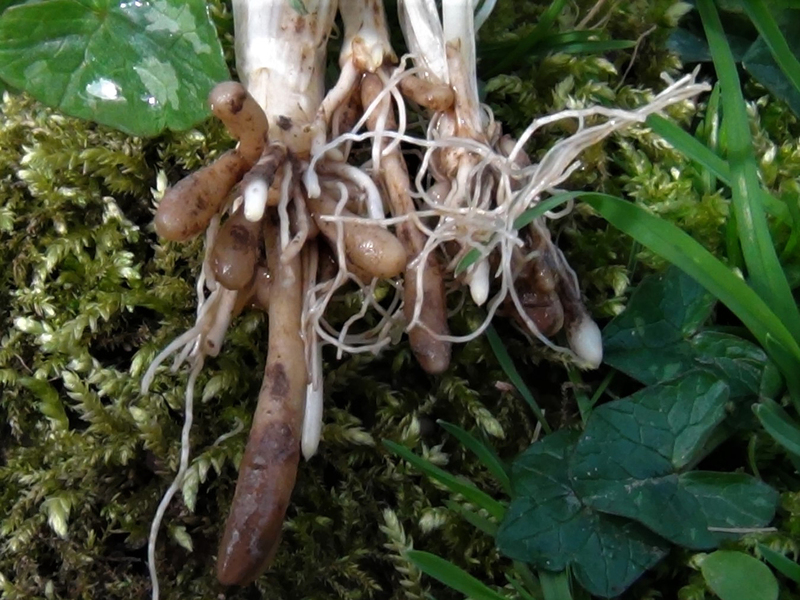 Creamy pale tan shallow roots with nobbly tuberous growths. 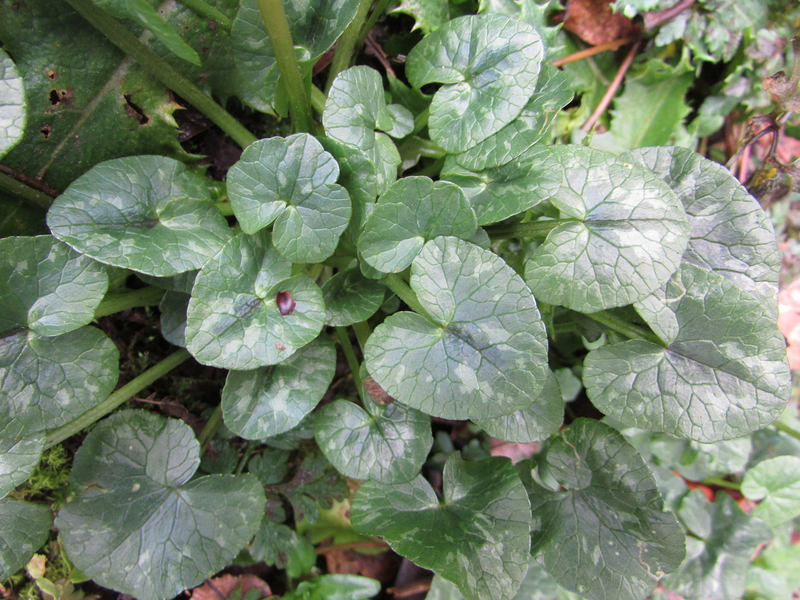 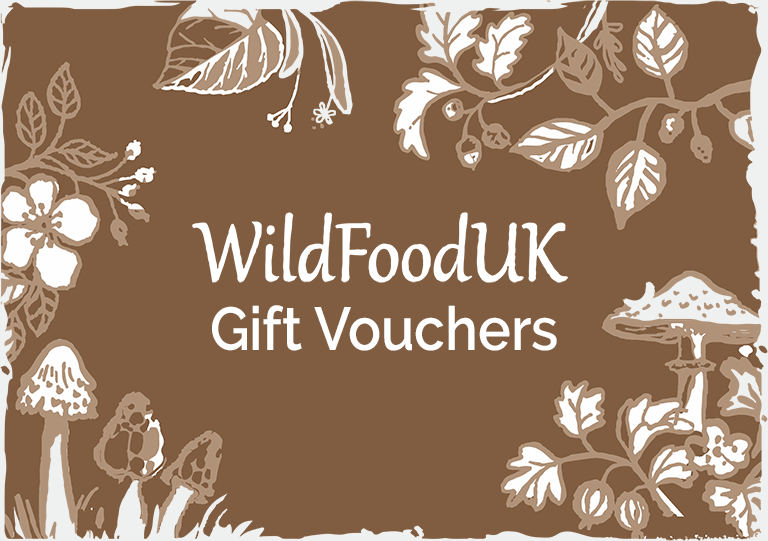 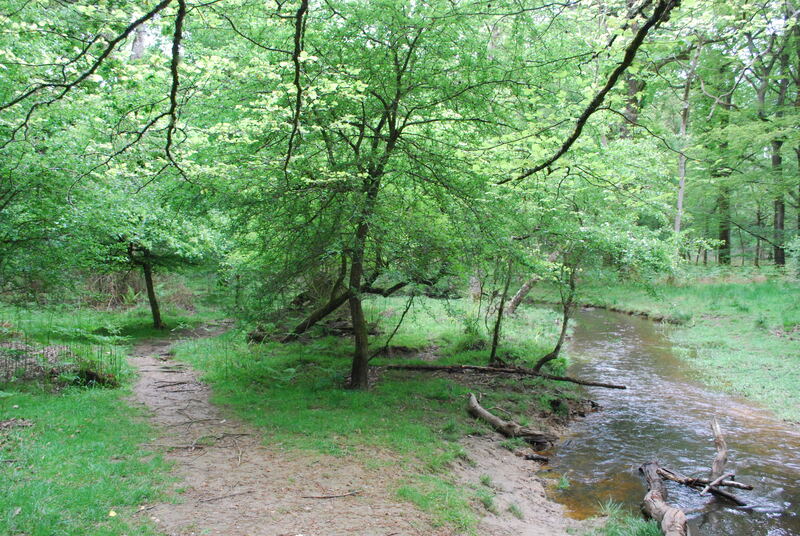 Woodland floors and as a weed in gardens. 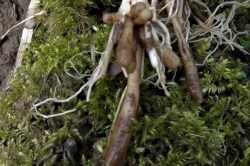 The leaves and flowers are pleasant if a little bitter, the growths on the roots, which must be cooked, are like potato or sweet chestnut. 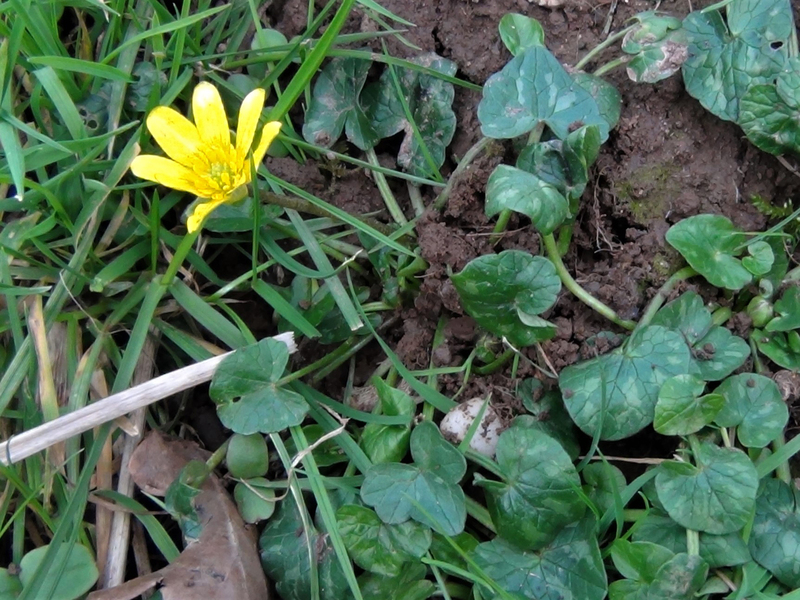 Common in Spring and early Summer. 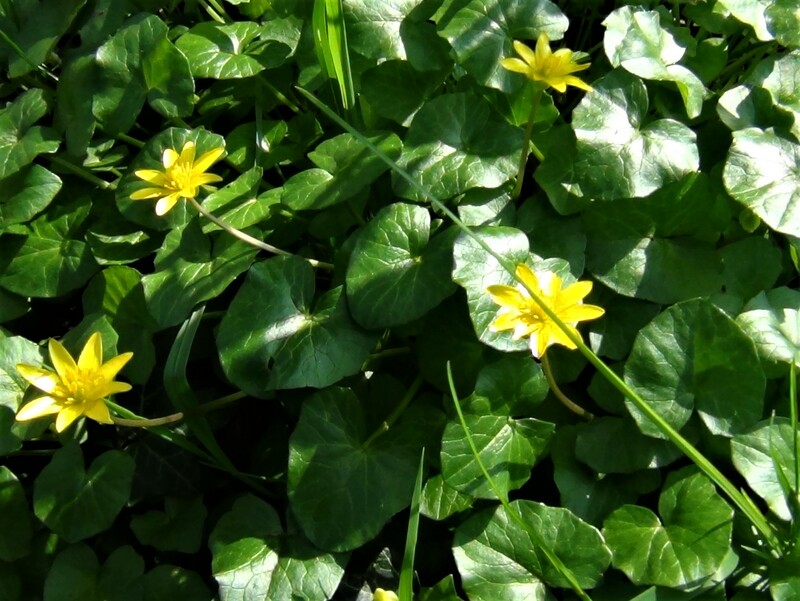 The flowers and leaves can be picked and used in salads but should not be eaten too often. 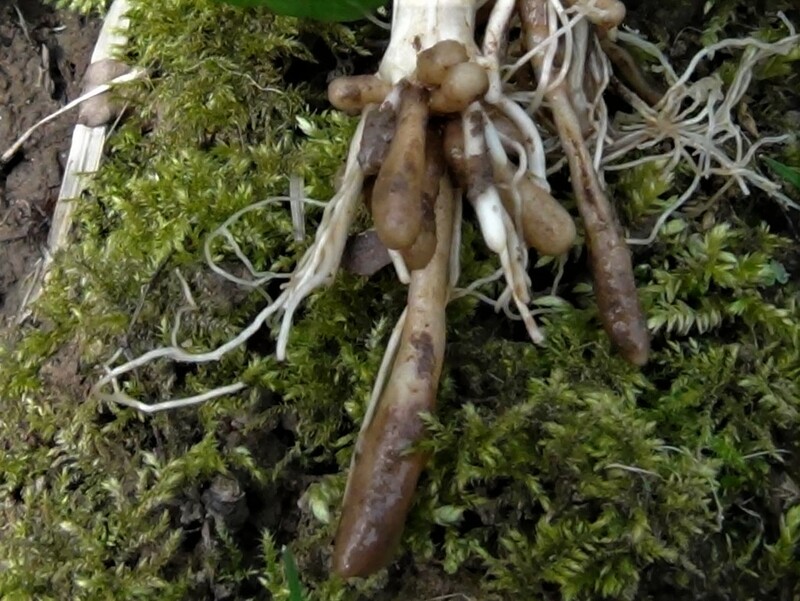 The roots can be easily dug and the nobbly growths cooked in the ashes of a fire or boiled for at least 15 minutes but these should be picked when ripe just after the flowers drop or the tubers will stay hard and unpalatable. 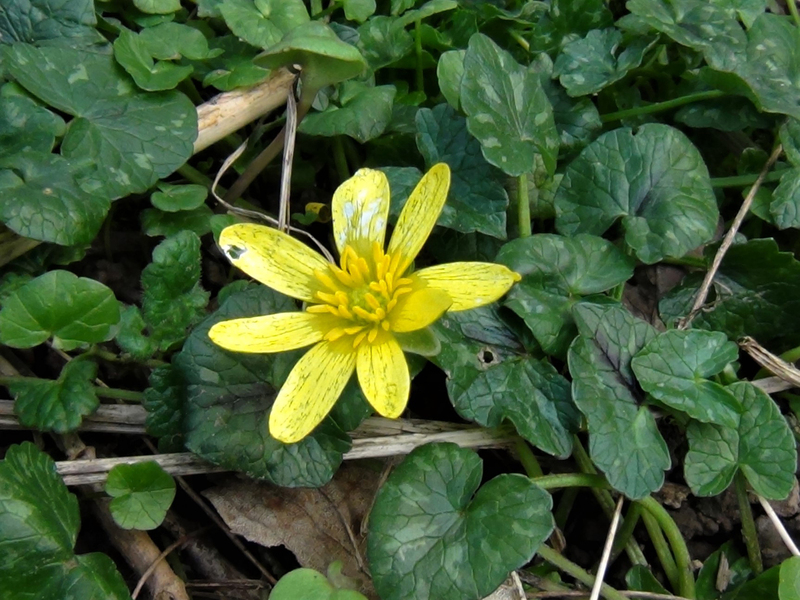 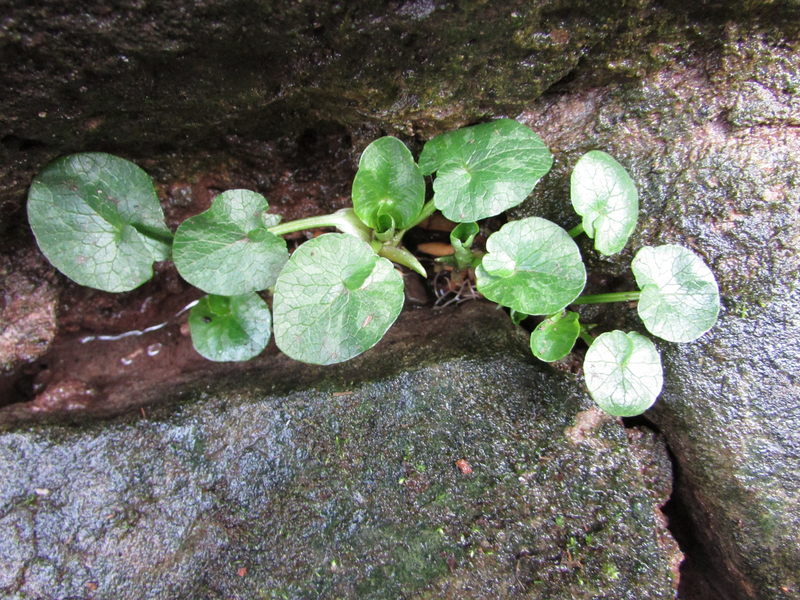 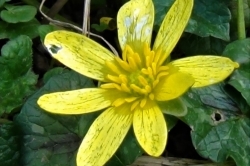 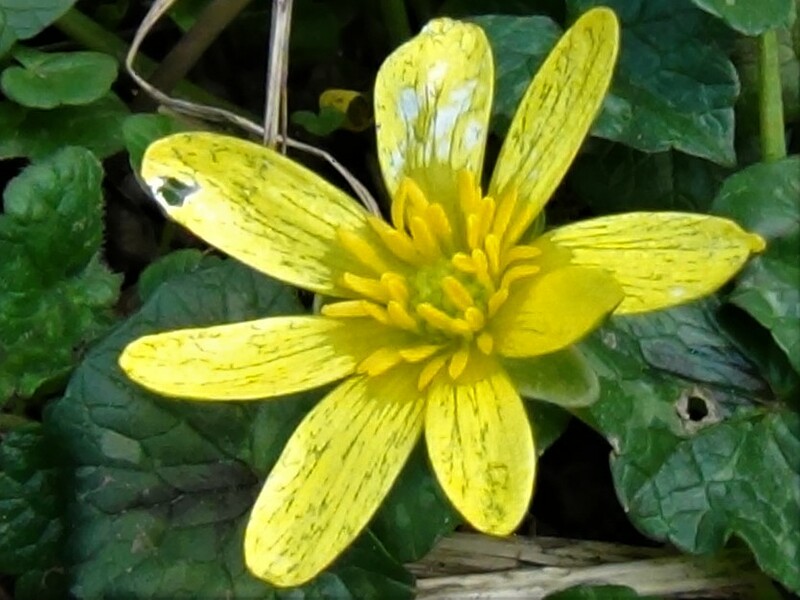 As one of the common names suggests celandine root was used as a haemarrhoid treatment (Pilewort). 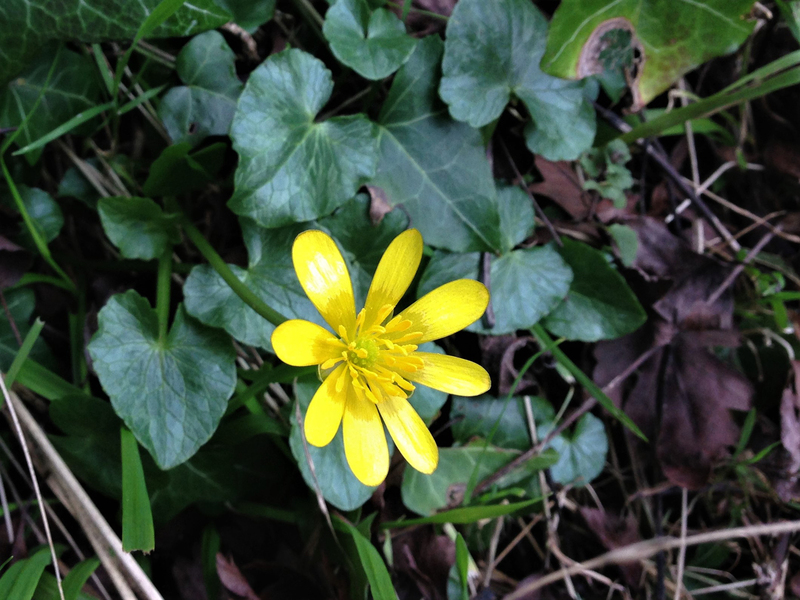 One of the first flowering plants of the season it nearly always appears in the last week of February when the swallows arrive, chelidonia (Celandine) being the Latin for swallow. 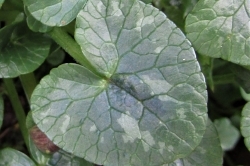 The leaves were used to stop scurvy.